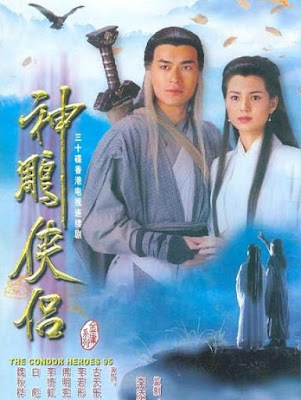 Very often, I look for recommendations on the next wuxia to watch. 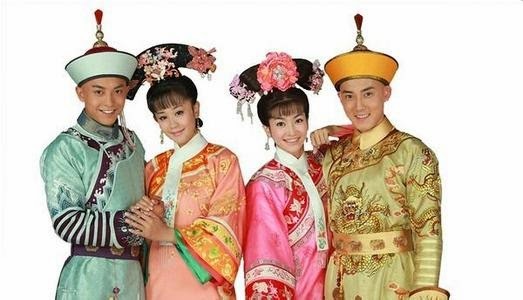 Thought I would share a list of popular ancient Chinese TV series, from my top 20 to the ones that you watch to pass time. Ling Hu Chong is a student of the Hua Shan Sect and this story revolves around his adventures as he makes a name for himself in the martial arts world. 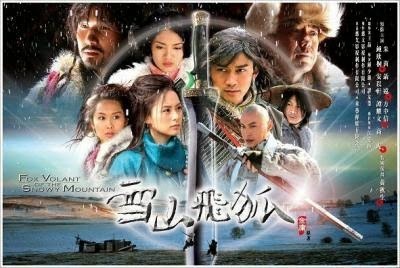 Based on novels by Louis Cha (Jin Yong). I decided to feature the most recent adaptation produced by Yu Zheng in 2013. Usually, Jin Yong novels are a must-watch for me but in this case, Yu Zheng took free reign at revising major plot points. I can accept some modifications such as Dong Fang Bu Bai being female rather than male but other story changes just didn't make sense. 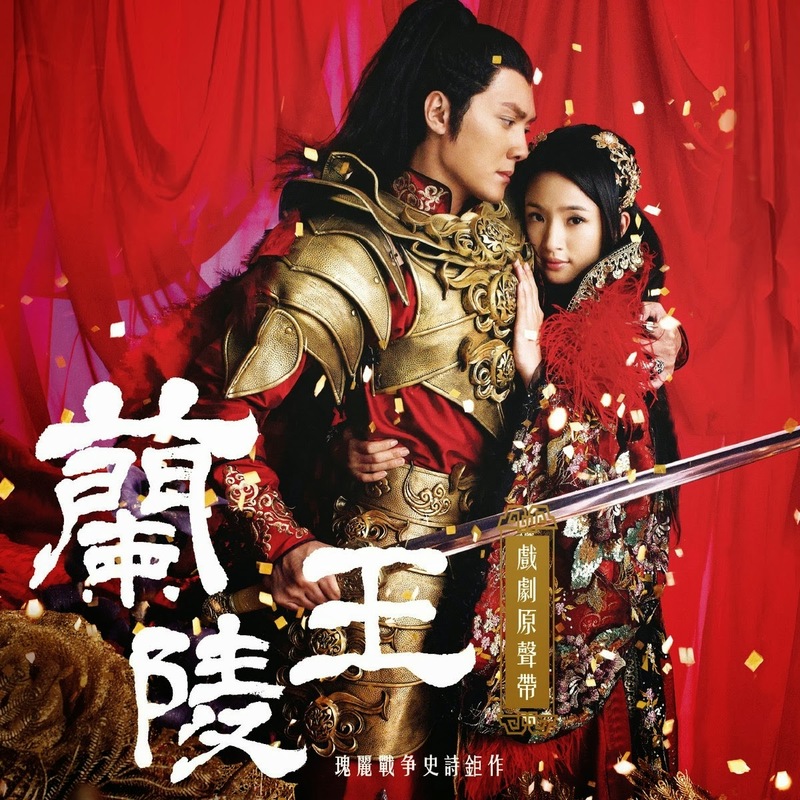 It was frustrating to see how the original pairing was supposed to be Ling Hu Chong and Ren Ying Ying but we spend a huge chunk of the drama watching the development behind Ling Hu Chong and Dong Fang Bu Bai's possibly romantic relationship. 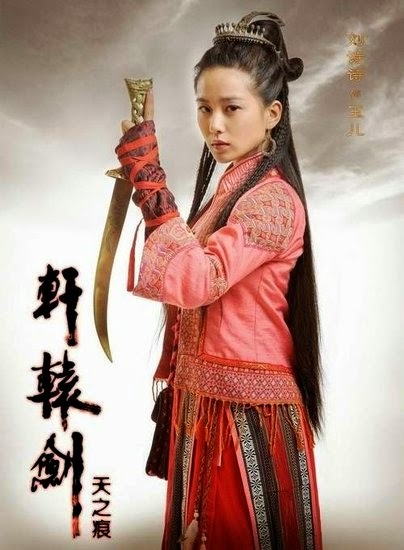 Chen Qiao En as Dong Fang Bu Bai is captivating and she quickly became my favorite character so I was quite appalled when it dawned on me how this drama was supposed to play out. I stopped watching shortly before that could happen. Lu Zhen is an intelligent and courageous young women who doesn't let gender inhibit her from succeeding in business. 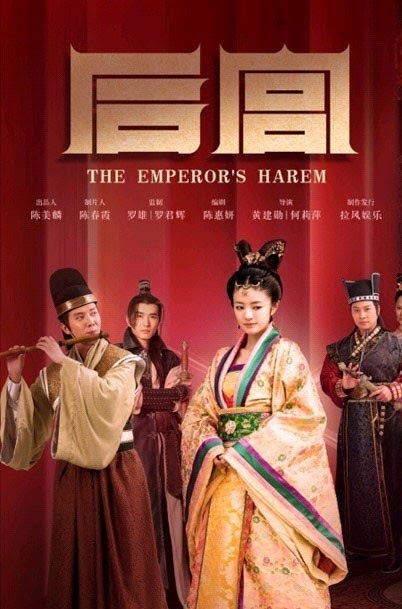 Upon her father's death, her evil stepmother leaves her with nothing and Lu Zhen ends up escaping to the palace where she relies on wits and talent to survive. 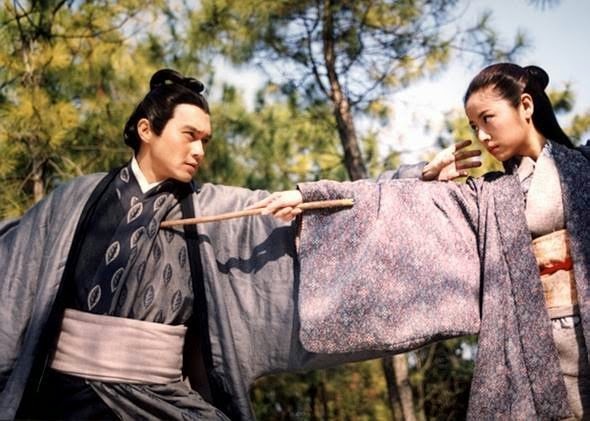 Yu Wen Tuo and Chen Jing Chou are destined to be enemies. Will they be able to set aside their differences and save the world? Visually amazing as always, I watched it just for the sake of the cast and the colorful costumes. Can't say the same about the story tho. More pictures below because it's a waste not to post them. Despite coming from a noble background, Li Zi Yun was forced to live on the streets after her father was accused of treason. Fortunately, she was taken in by a nice family as a servant. However, the palace decreed that the family's only daughter be sent to the palace. To repay her master's kindness, Zi Yun goes to the palace as Shao Chun Hwa where she gets entangled by the endless hierarchies and power play behind the palace's closed walls. Gong - a ratings powerhouse! Ever noticed a trend in dramas where similar themes come out all at ones. Gong is yet another time-travel drama which is a cross between Scarlet Heart and Boys Over Flowers. 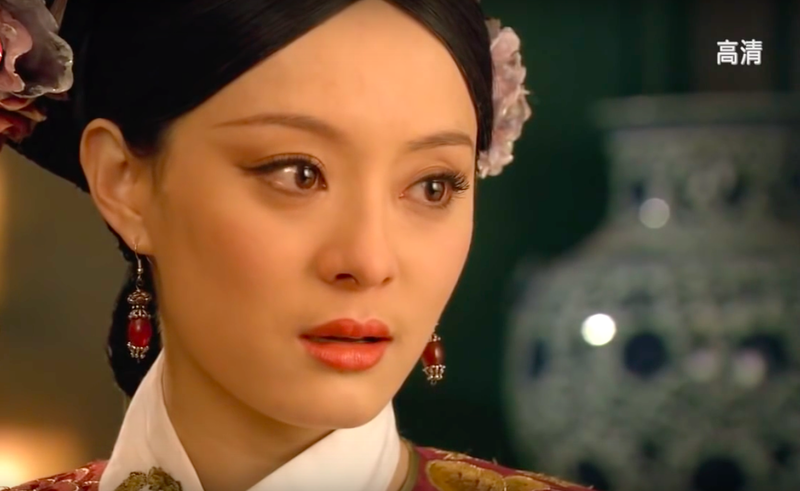 We have a feisty 21st century heroine constantly picked on by the boys / princes yet the stakes are much higher within the palace walls of Qing Dynasty where one wrong move can cost your life. 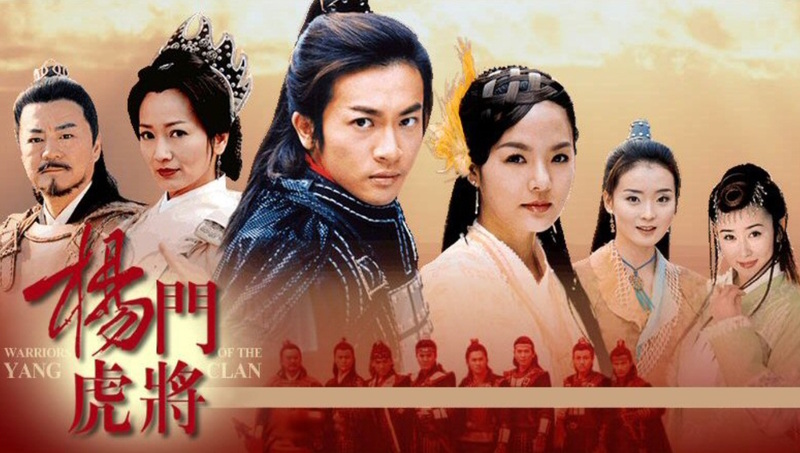 Legend of Zhen Huan - a ratings powerhouse! 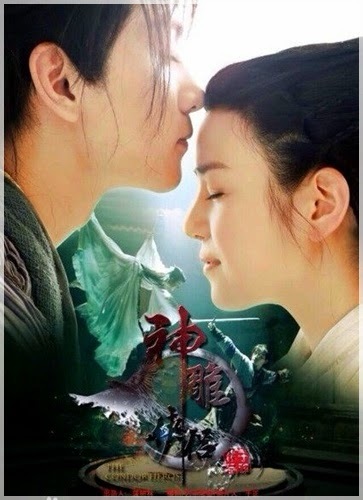 Scarlet Heart (Bu Bu Jing Xin) - a ratings powerhouse! Zhang Xiao got into a fight with her boyfriend because she caught him cheating. However, she trips and is electrocuted. When she wakes up, she discovers that she has been transported back into the Qing Dynasty inside the body of Maertai Ruo Xi. Stuck with no idea on how to go back to the future, she tries to make the most of it but is struggling with the fact that she already knows how history will play out for everyone that she meets. Li Ge Xiao is a bandit that robs the rich to give to the poor. His group is called Yi Zhi Mei and they fight to protect the people. 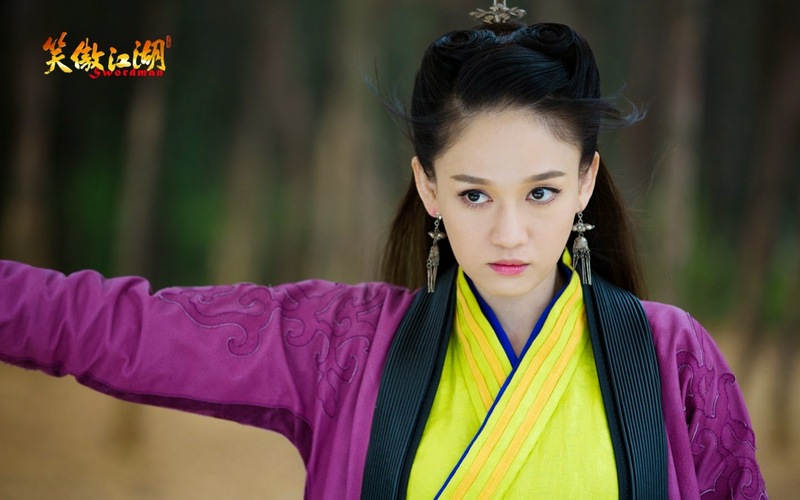 Meng Xing Hun is an assassin of the Happy Forest led by Sister Ko. They are experts in the field but Xing Hun is tired of their lifestyle and wants to start anew. 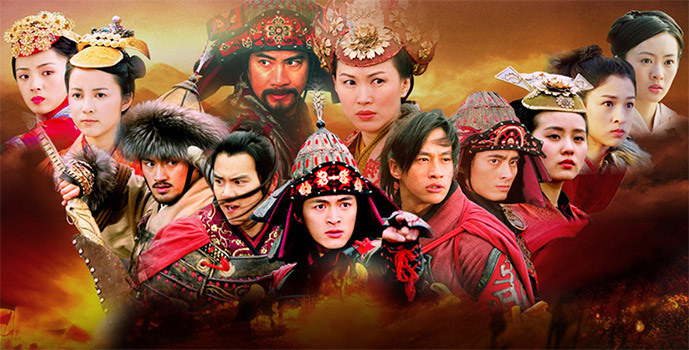 Based on Gu Long novels. 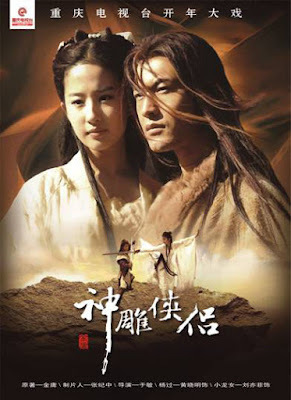 The movie version starring Tony Leung, Michelle Yeoh and many more is my favorite wuxia film but I didn't like the drama version as much. Jing Tian, a happy-go-lucky shop owner, embarks on a journey to save the world from darkness. Produced by Tangren Media. This is a prequel to Chinese Paladin. The Martial Arts world is fighting over the Heavenly Sword and Dragon Sabre and it leads to the untimely deaths of Zhang Wu Ji's parents. 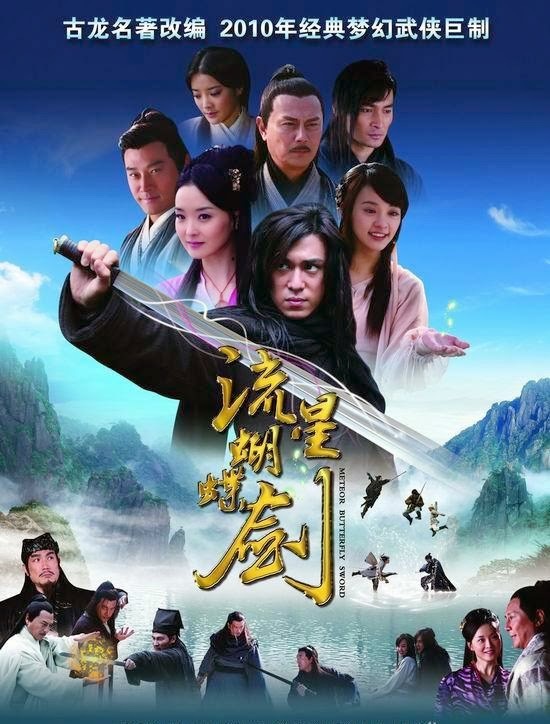 Wu Zi has to decide between principle or revenge, love or hate as he becomes entangled in the fight over the Heavenly Sword and Dragon Sabre. 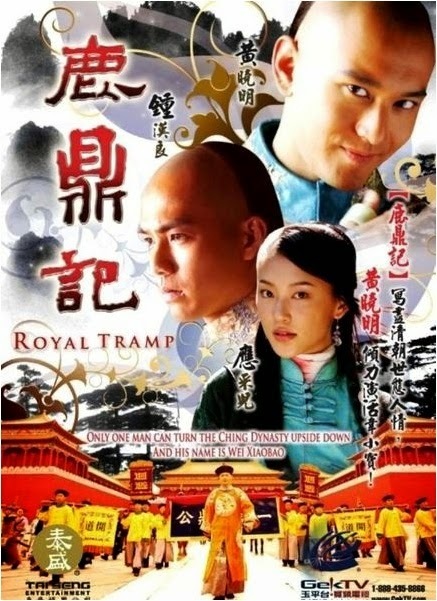 Based on Louis Cha (Jin Yong) novels. 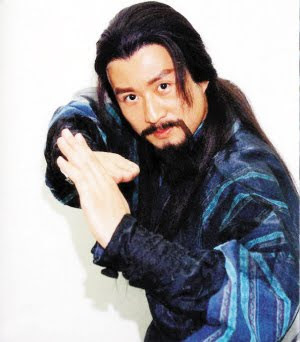 Yang Xiao (杨逍) is my favorite character because of the 1993 version played by Sun Xing (孙兴). His portrayal of Yang Xiao left such an impression that I don't think other versions can ever compare. Here's Sun Xing from the 1993 version. Oh, the memories..
Qiao Feng is the leader of the Beggar Clan who defends the Han people from the Qi Dan. 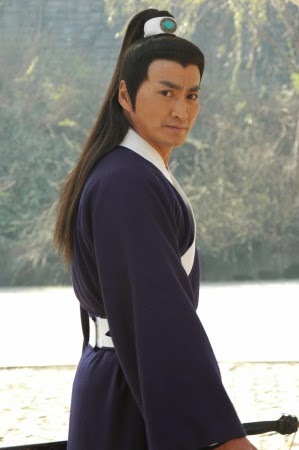 Duan Yu is a prince of Da Li who despises fighting and violence. Xu Zhu is a monk who inadvertently gains immense martial arts powers that he did not want. The three become sworn brothers and this is their story. 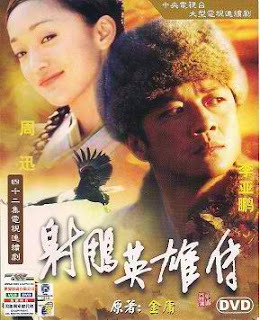 Based on Louis Cha (Jin Yong) novels. In my opinion, Jin Yong is like the Chinese version of George Lucas as he successfully created a franchise on stories filled with generations of unforgettable characters. Yang Guo is judged by society for being the son of a traitor. He meets and falls in love with his martial arts teacher, Xiao Long Nu, and their relationship has been deemed unacceptable by society. 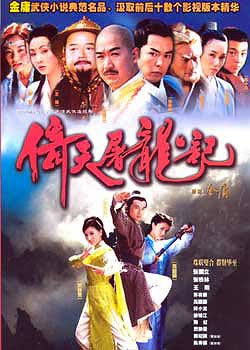 Based on Louis Cha (Jin Yong) novels. I really like Yang Guo, a character who is not your typical protagonist. He has a dark side and in spite of society's expectation that a traitor's son can do no good, he embodies the characteristics of a true hero. 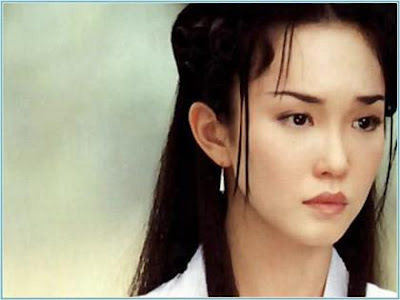 I think the 2006 version by Crystal Liu (刘亦菲) is the most fitting for the part of ethereal beauty Xiao Long Nu but Fann Wong's portrayal, which is the first version that I ever saw will always be my favorite. On the other hand, the 2014 upcoming version starring Michelle Chen seems to be getting a lot of flak for her casting and unwanted changes in the screenplay. I guess it's up to us to decide. Hong Siu Lung is a Hong Kong Police Agent afraid to commit to his long-time girlfriend Kam Ching. It was only until Kam Ching marries another that Hong Siu Lung realizes what he lost. Determined to win Kam Ching back, Hong Siu Lung volunteers to travel back into the past in hopes of undoing the present. However, things go awry when he finds himself stuck in ancient China many thousand years ago. 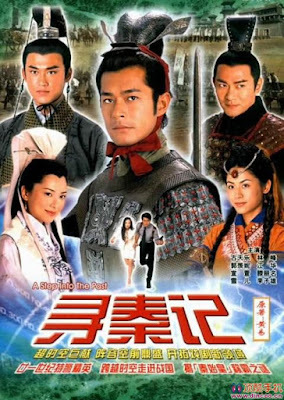 It was hilarious to watch Louis Koo (古天樂) as Hong Siu Lung (项少龙) speak English and walk around in a T-shirt in ancient China. 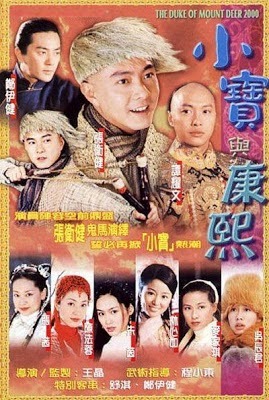 The Prince of Lan Ling (Lan Ling Wang) - a ratings powerhouse! During the turbulent times of the warring states, there are four men with the potential to unite the lands and bring forth peace, one of which is Lan Ling Wang, a general of Qi. Lan Ling Wang meets Yang Xue Wu, the granddaughter of the last remaining priestess from the village of seers. It has been foretold that the one who gains her, gains the world. Despite the tragic prophecy that Lan Ling Wang will die in the hands of his own brother, Yang Xue Wu falls deeply in love. WIll they triumph against fate? Comments: Loved the three leads & the supporting cast and hated Zhen Er with a passion thanks to her superb acting. 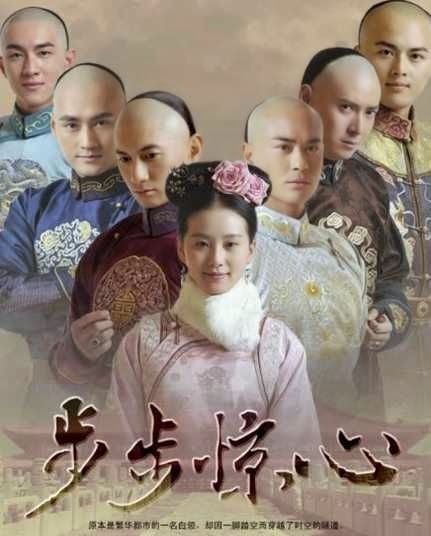 It's rare for me to find new dramas to like so Lan Ling Wang seriously reminded me of the good old times when I first discovered period dramas. Though I gotta admit, there was a fair-share of hair pulling moments when the drama started dragging midway but still an enjoyable ride overall. Xiao Qi is the seventh daughter of the Jade Emperor but she violated heavenly rules and is sent to the mortal realm as punishment where she must accomplish 100 charitable acts in order to return. While on earth, she meets and falls in love with Dong Yong. However, it has always been forbidden for a goddess to be with a mortal. Produced by Tangren Media. Stories between goddesses and mortals are almost always sad because it is forbidden in every fantasy drama that I have seen thus far. Is it a must-watch, pretty darn good, just another drama or downright boring? Hope I'm not being unfair but since I can barely recall the enough of the plot to write a synopsis, I'll be rating this as average. The Generals of the Yang Clan is a well-known Chinese folklore about a family of warriors during the Song Dynasty. Every iteration of it may have its own story to tell, but the overarching theme is one and the same as it focuses on heroes and their unrelenting loyalty to their country. The main protagonist Li Xiao Yao has to battle the Lunar Moon Sect. On his journey, he meets the love of his life Zhao Ling Er, who is actually a half-human half-snake descendant of the Nu Wa goddess. 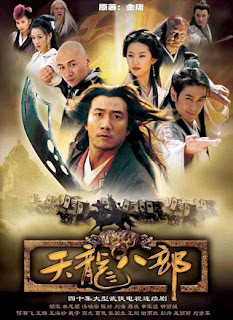 Chinese Paladin is a must-watch simply because it was such an anticipated fantasy wuxia back then. Tong Bo is the eldest of the Tong Brothers and their clan lives in peace and seclusion in paradise. However, everything will change as an old enemy returns. Xue Cai Yue, is a cold and calculating assassin who swears revenge on the Li Family. She trains arduously to defeat the Flying Daggers, a martial arts stance practiced by the Li. Li Huai is an illegitimate son unwanted by his family but when the time comes, is he willing to defend his family's honor against the love of his life Xue Cai Yue? Based on novel by Gu Long. I don't have any more space in my top 10 but Flying Daggers is another all-time favorite! Shen Bi Jun is the most beautiful woman in the realm of wuxia. She is engaged but falls in love with Xiao Shi Yi Lang and circumstances have forced Shen Bi Jun into a marriage that she does not want. 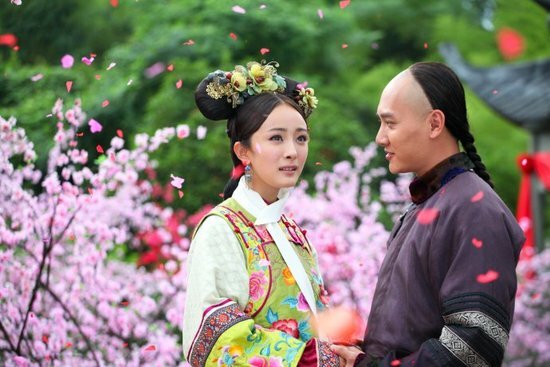 Can these lovers find happiness again and can Xiao Shi Yi Lang find his true calling? I'm ecstatic for the latest adaptation coming out in 2016 especially because it's been years since I last saw this! I'm having a hard time finalizing the ranking for my top 10 favorites. 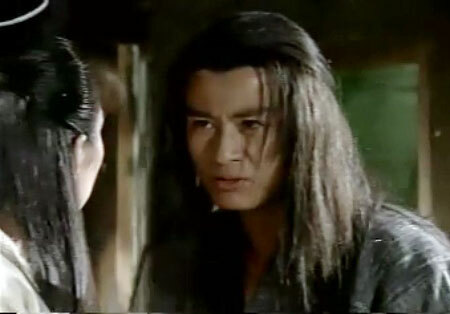 Xiao Shi Yi Lang will have to settle for Rank #6 but seriously, it is one of my all-time favorites! Originally a novel written by Gu Long, there's so much angst and inner turmoil that Xiao Shi Yi Lang undergoes because of a relationship that seemed doomed right from the start but I'm loving every single bit of it. It's a drama that tugs at your heartstrings and frankly, I think dramas that have the ability to elicit that kind of a reaction are the best ones. Shui Ruo Han is an assassin but he falls in love with Lu Jiang Ping. Will he betray his mission? Another conflicted character in the persona of Shui Ruo Han who came into Lu Jian Ping's life with the sole purpose of stealing the Divine Book by any means necessary. Shui Ruo Han is played by Nicky Wu, the same actor in Xiao Shi Yi Lang and just the same, loved it! Wei Xiao Bao is an anti-hero. He's lazy, not adept at martial arts, and he relies on wit to get out of dangerous situations. He also loves women and easily falls for every girl that he meets. But beneath it all, he is a patriot on a mission to infiltrate the Palace. He finally meets the Emperor of Qing Dynasty and they form an unlikely friendship. 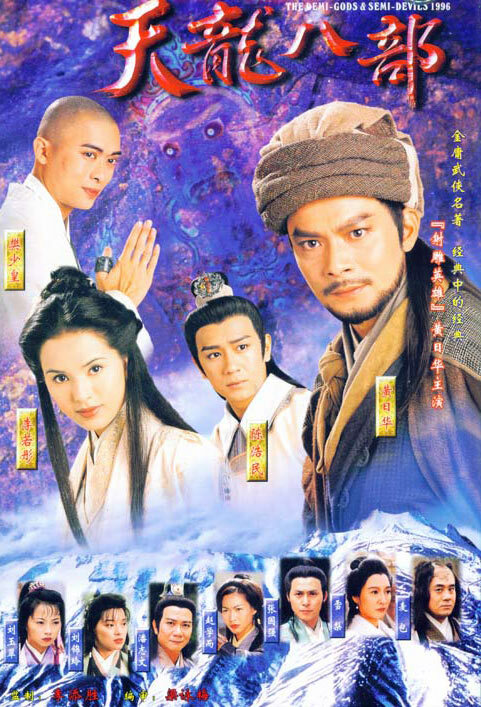 Based on Louis Cha (Jin Yong) novels. I caught wind of another adaptation in 2014 but since this is the 3rd version of the same drama, I don't think I will be watching. Guo Jing is slow and dim-witted but he is persevering and has a good heart. 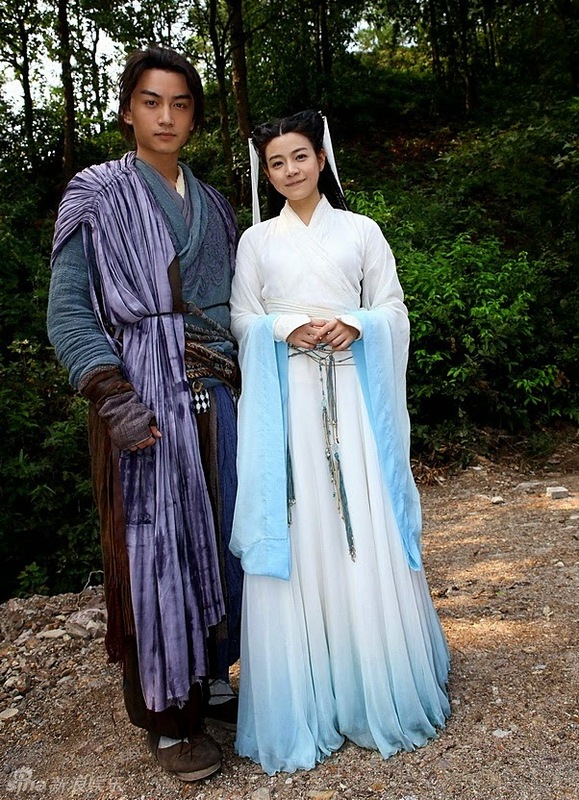 He meets Huang Rong who is his antithesis, smart, pretty and cunning. This novel adaptation revolves around their love story as well as Guo Jing's journey to becoming a great warrior who defends ancient China from the Jin empire. Based on Louis Cha (Jin Yong) novels. This series is the prequel to the Return of the Condor Heroes. 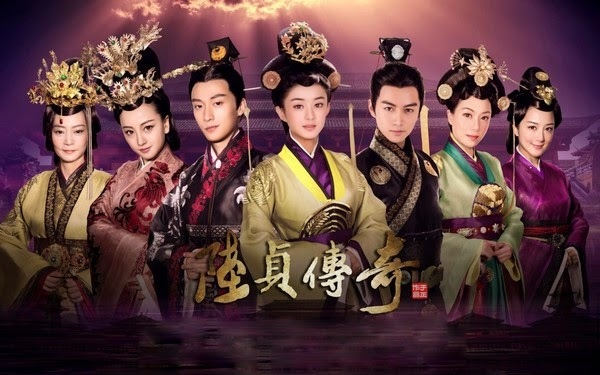 My Fair Princess - a ratings powerhouse! Xiao Yan Zi is a fun-loving young girl who likes martial arts. She meets Xia Zi Wei, prim and proper and her polar opposite in personality. Xia Zi Wei is actually traveling to the Palace to meet her father Qian Long, the Emperor of Qing Dynasy. 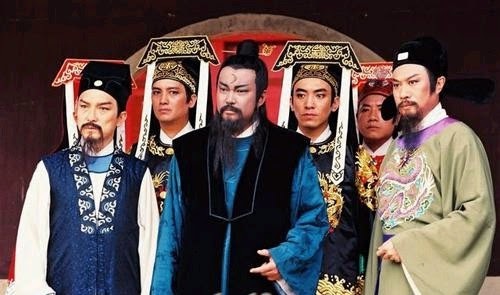 Eager to help, Xiao Yan Zi volunteers to go to the Palace but crazy circumstances lead the Emperor to assume that Xiao Yan Zi is his daughter hence granting her the title of Princess. Based on Chiung Yao novels. 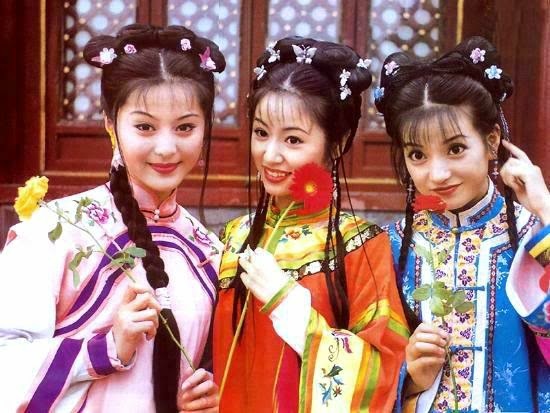 Princess Pearl is a mega-hit back in 1998 that paved the way for Vicki Zhao and Ruby Lin to stardom. In fact, Fan Bing Bing who was a supporting character in this very successful drama also shot to fame and even starred in X-Men Days of Future Past as Blink. I read pretty negative reviews about the 2009 version though so it's probably better to stick to the original. This is not much of an wuxia but a classic in the Romance Drama genre. It has pretty one dimensional characters where the good are good and the antagonists Empress Dowager and Rong Muo Muo are monsters! Just kidding but you'll know what I mean. Justice Bao is a judge who seeks to uphold justice no matter what the price. This Taiwanese TV series has many episodes featuring different crimes solved by Justice Bao's team. 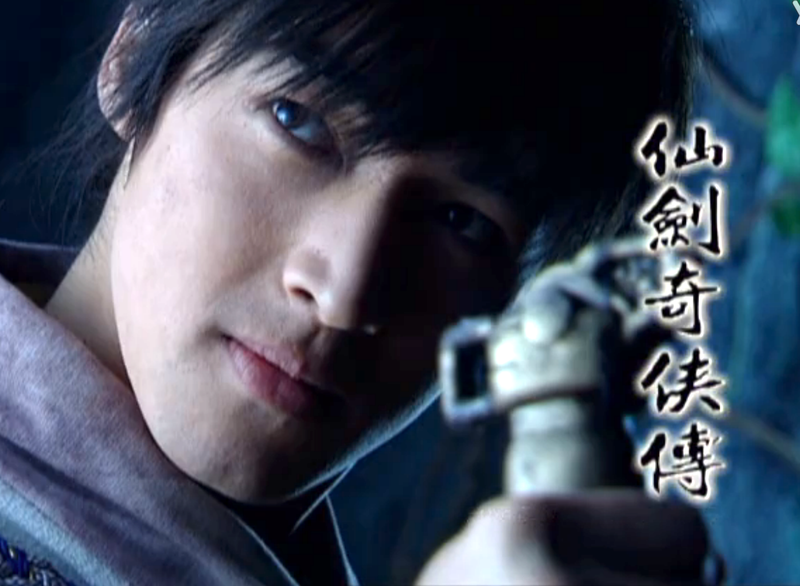 I couldn't resist posting a picture of Kenny Ho as Zhan Zhao, everyone's favorite character. 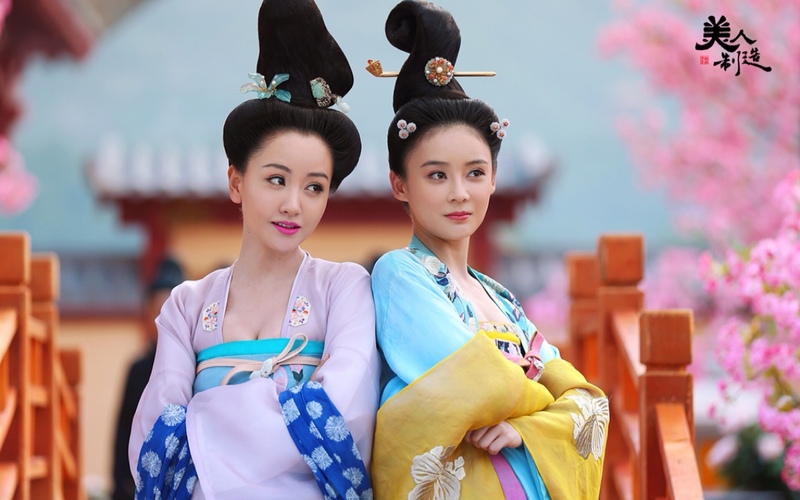 For Chinese period dramas in 2014, click here. For Korean period dramas, see best sageuk. After reviewing your list, I must say that I agree with most of your "must watch" selections. Also there are a few dramas that you have listed that I have not seen. I hope I agree with your category of "must watch" with these upcoming dramas. 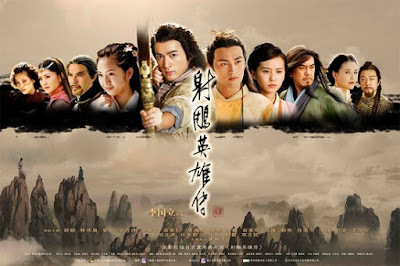 They are Chinese Paladin 3, Demi God and Semi Devils 2013, Flying Daggers, Legend of Condor Heroes 2008. Great blog! 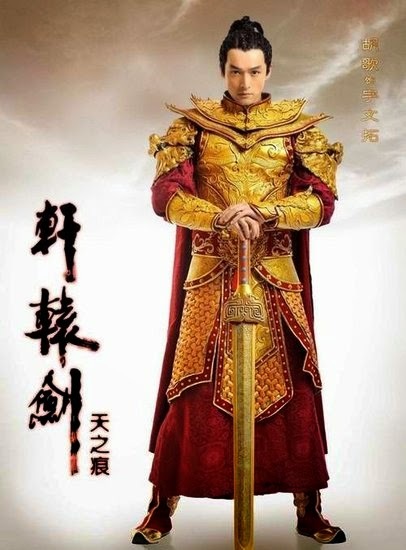 Chinese Paladin 3 almost made my must-watch but there were parts that I didn't like. I agree. However my enjoyment was significantly curtailed because of the partial subbing of this drama even as I type. I need subtitles. Thanks for that suggestion though. 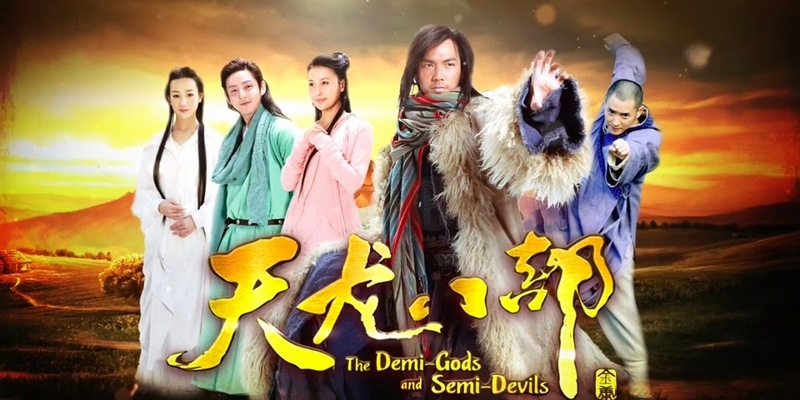 I was also enjoying Demi God and Semi Devils 2013, yet I had to stop because of its' lack of subtitles. Sorry let me retype. True but I seriously think it's largely thanks to the fact that Crystal Liu is like a real-life Xiao Long Nu such that even though I like Michelle Chen in ROCH, I still think Crystal Liu and Chen Xiao would have made a better pair. 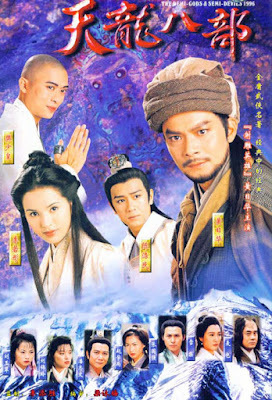 Because even though I agree that the 2003 version was better overall, Crystal Liu's baby-face and Huang Xiao Ming's mature looks always struck me as slightly odd. To be honest, i don't really like the 2008 version ( i only watch it because of crystal liu). Very dissapointed with the figthing scene, like hello ROTCH is a wuxia genre and a good fighting scene is a must for wuxia genre. 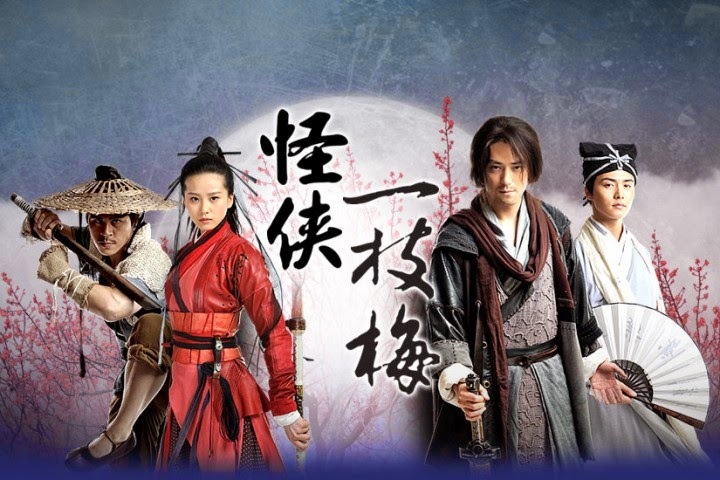 Btw, Do you know where i can watch/download wuxia series with english subtitles? Wei Xiao Bao is the only prolific womanizer that I can think of other than maybe Duan Yu's father who is a side character in Tian Long Ba Bu. if you like Fantasy stuff that are usually based on gaming, I just know the old ones like Chinese Paladin etc. I really agree with you about lan lin wang. It feels like good old times. I come here for the exact story like that. Ok, fine. I lied. 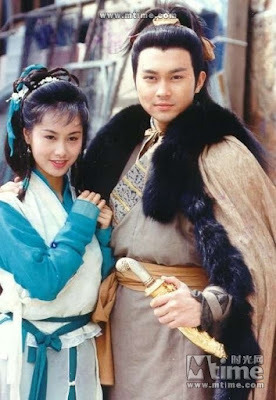 I'm here because I want to find another wuxia drama starring Feng Shao Feng. Found one, but unfortunately can't find a website that have the eng sub. The world is so unfair. Website for korean drama is so many, I really hope someone make a website just for chinese drama. Anyway, I really really really strongly recommend you to watch lan ling wang. Feng shao feng is sooooo darn handsome, I could die. His smile, literally can kill people. Ok, fine. i lied again, but you get what I mean. Happy fangirling!! Where can I watch gong 2 & gong 3 with eng subs ? duke of mount deer andy lay ver..
Hi Budi thanks for commenting. Been meaning to watch the older TVB dramas but never got the chance. Will start with your list when I do. can u give a name of series that kind of same like romance of condor heroes and swordsman that have many sect.. tq..
i also need some help to find old chinese drama. U remember drama where they fight with rare sword and also they need to beat one dragon . i cant remember that drama. What about the Young Warriors of the Yang Clan 2006? One of my favorite series. Hi. 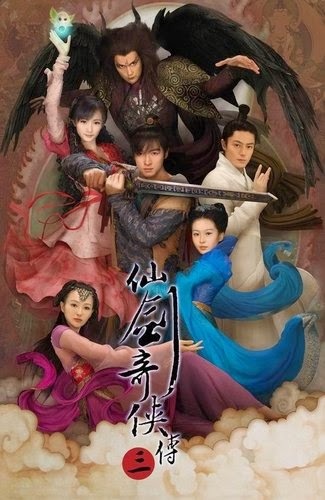 Can you please help me.a chinese drama about goddess of flower who get punish and have to life as human. can anyone help tell me the name of this series? My cousin lent me a Kungfu serial about 7 warriors (Outlaw). They are the most feared and respected in all China until one day the recruited some one new and each one of them test his kungfu skil. The new guy apparently put a poison on their food and win each fight until he battle the boss. This charming dude has a legendary sword. No one won (if I remembered correctly. Mann.. I watched this series 16 years ago and still thinking about how it ended. I never found the name of it even after several attempt of digging the internet. Any way, they both the caught by the official (police) but the boss escaped. He then go eat in a little eatery located nowhere in the desert but couldn't pay the bill. They mock him and hit him but he couldn't fight back because he had to cover his real identity so he decided to wash the dishes there until fateful day. A man stop by and recognize him and broke his legendary sword, they found a rolled letter inside his the broken sword. I forget the rest but can somebody tell me which series is this?? I need to finish it sooo bad.